Simple, elegant and timeless… Just some words that I am sure many of you would love for your guests to use to describe your day… And they’re sure to with these options, because that is exactly what they are! 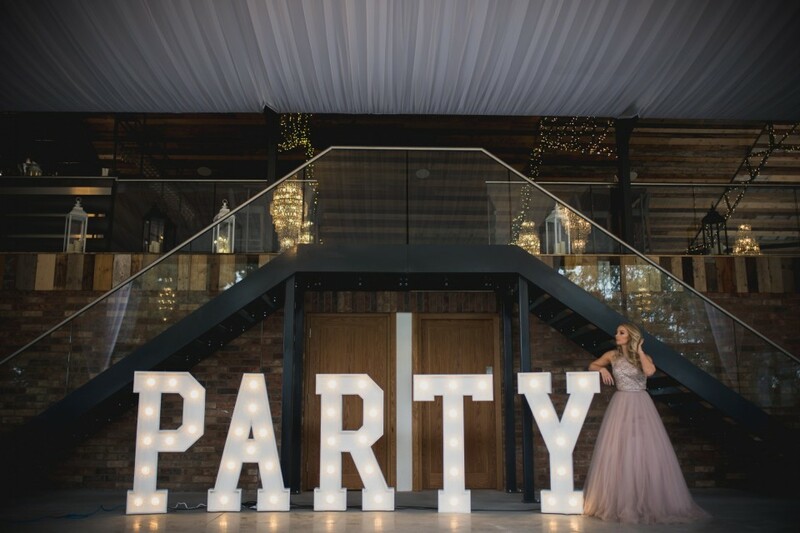 Yet also incredibly versatile – this style of letter are fitting for the most formal, grandest of venues, yet perfect to provide clean lines amongst a more rustic choice. 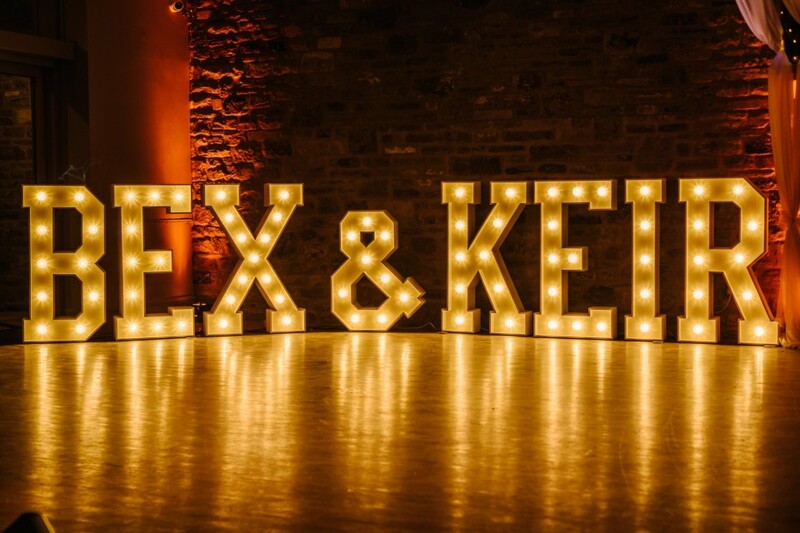 Perhaps you’d like your wedding to be totally personalised with your new surname or intials in lights? – we have the whole alphabet and more in our White Collection! Sometimes less is more – are you looking for white love letters to hire in Yorkshire? – you can’t go wrong! Or add a touch of sophistication and spell ‘AMORE’ OR ‘JADORE’ instead… or anything you fancy really! - Perhaps encourage people to Dance in lights or show them where the ‘PARTY’ is at?! 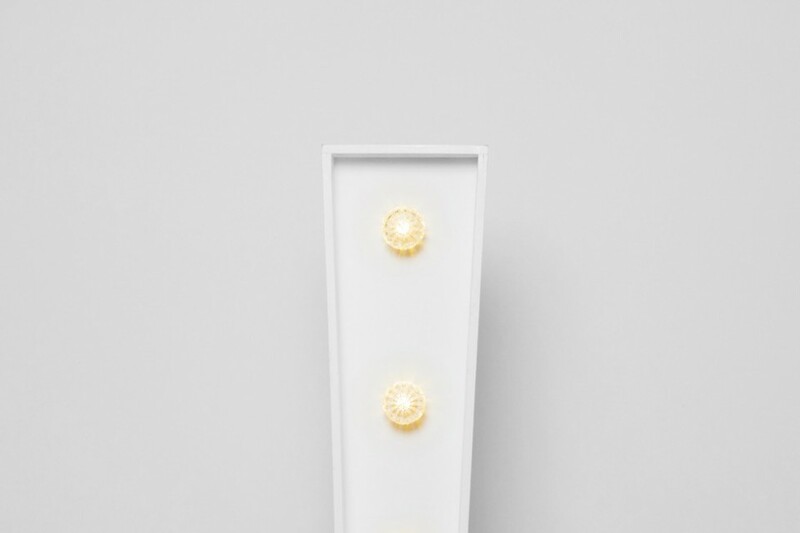 You can add our White Heart for greater impact, or to decorate another area of your venue. We are delighted to offer discounts when you hire more than one of our products at a time – just get in touch for a quote!